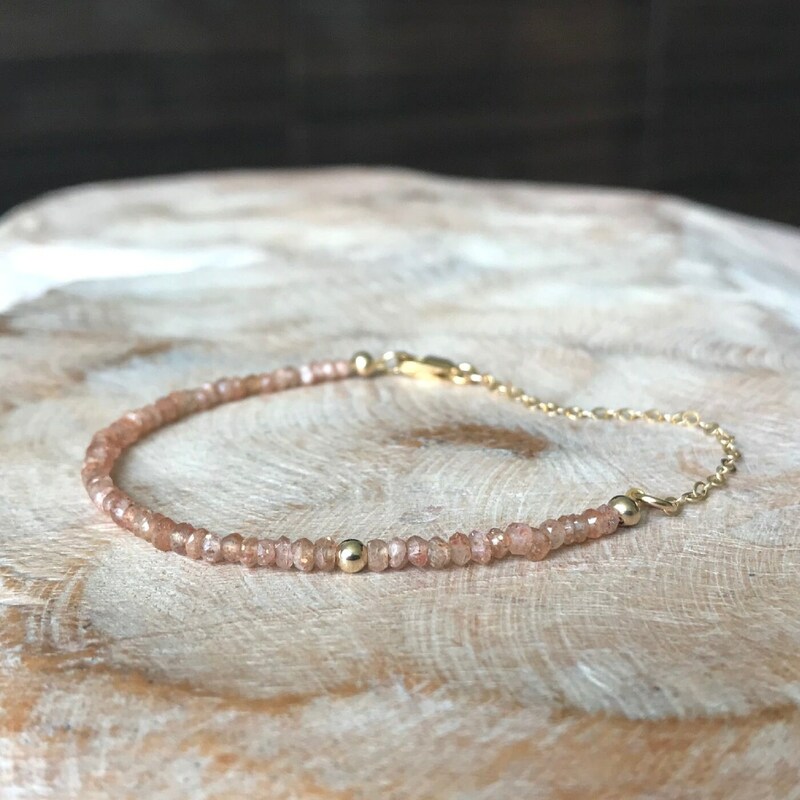 Available in gold filled or sterling silver, this sweet super skinny sunstone bracelet is very dainty and delicate. 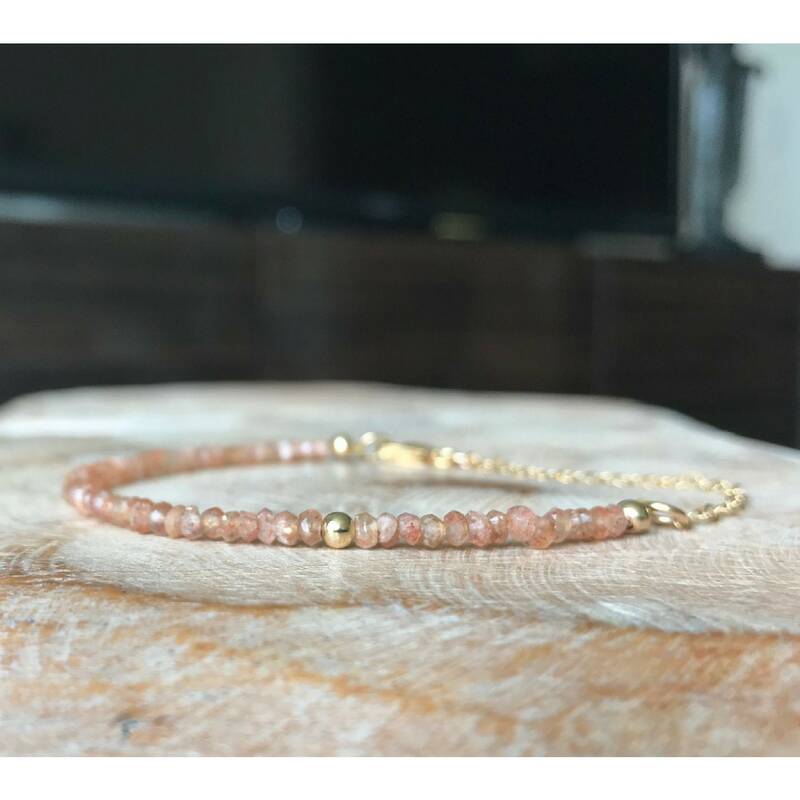 The sunstone is layered with on off center smooth bead and finished with chain and a lobster claw. 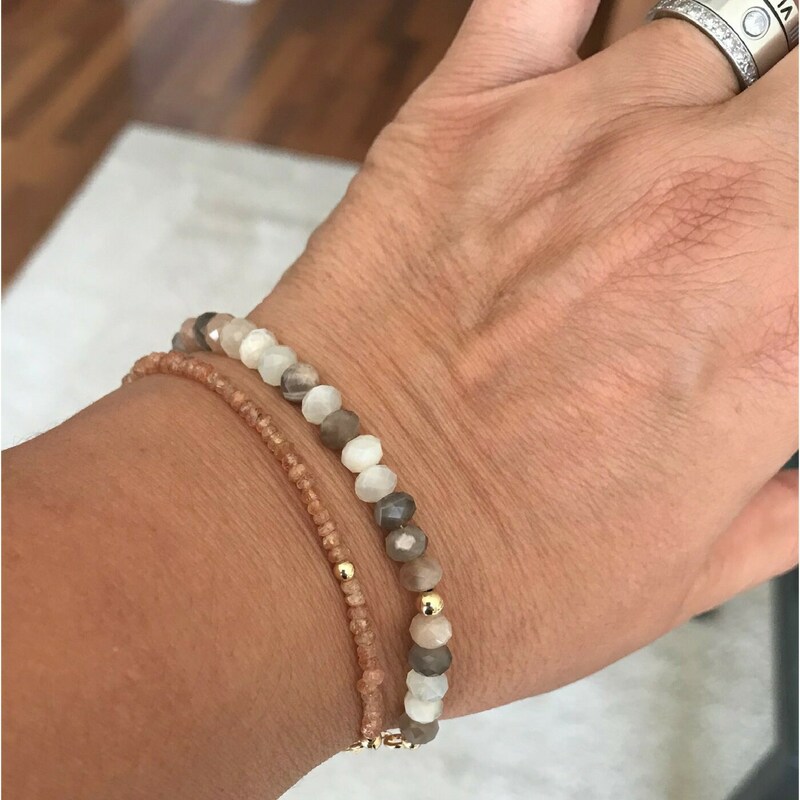 This bracelet looks great on it's own and pairs well with other bracelets for a pop of neutral color. 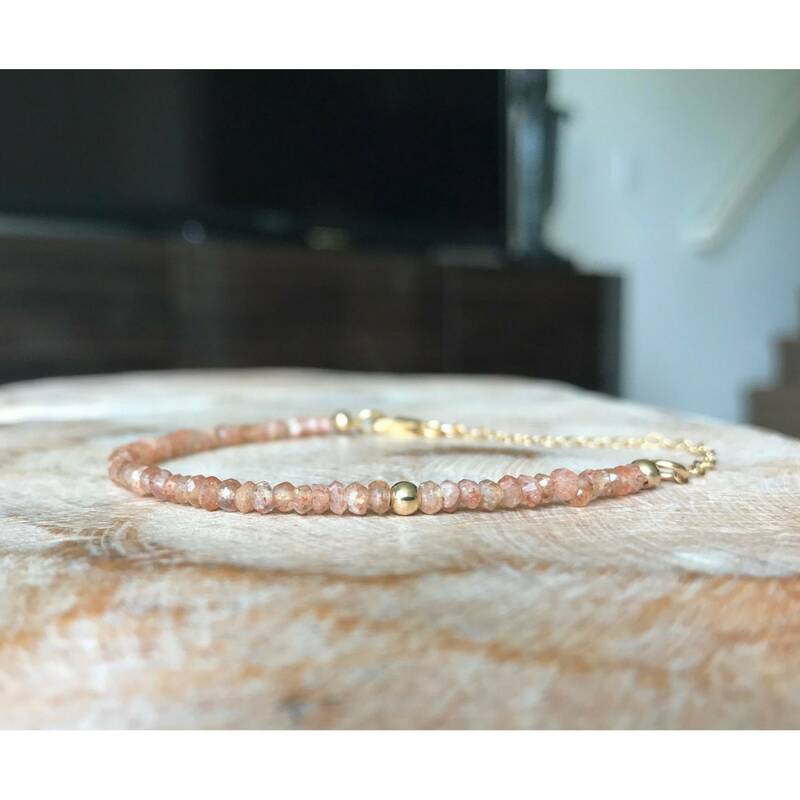 It's pictured in the 3rd photo with the multi color moonstone bracelet. Please select your wrist size and metal preference from the drop down menu at check out. Do not hesitate to message me should you need help getting your proper wrist size or request a size not listed. The moonstone is approx 6mm. So pretty and dainty, I love it!